Mississippi State’s newest university-level center has launched its first official project to further enhance cyber education for the state’s K-12 schools. The Center for Cyber Education’s advisory board held its first meeting on Wednesday afternoon [Oct. 17] a few hours after C Spire announced a $550,000 gift to MSU to support the center’s first official project. The center will build upon the MSU Research and Curriculum Unit’s longstanding work in K-12 computer science education, teacher training and teacher recruitment. Its first project is the C Spire Software Development Pathway. Shaw noted that the center’s advisory board includes faculty representatives from each one of the university’s colleges. 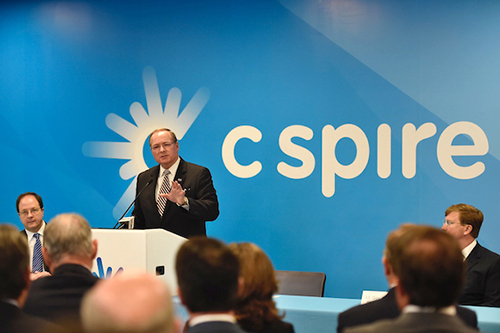 In addition to C Spire’s support, grants from the Mississippi Department of Education and National Science Foundation, as well as a partnership with Code.org, have laid the foundation for the center, which has begun developing new funding streams for staff to be dedicated fully to addressing computer science needs in the state. For more information about the Center for Cyber Education, contact Hollis at shelly.hollis@rcu.msstate.edu. MSU is Mississippi’s leading university, available online at msstate.edu.